Alfreton Town, in partnership with Derbyshire County Council; is joining the NHS, local charities and organisations in supporting World Suicide Prevention Day which is on Monday 10th September. This year the theme is ‘Working Together to Prevent Suicides’ and ATFC are proud to be raising awareness for this delicate and important issue at our next home fixture against Guiseley on Saturday 8th September. Be on the look-out for Volunteers from WSPD who will be at the Impact Arena greeting fans and handing out awareness cards. There will also be a Clinical Lead at the Impact for anybody who requires immediate support. The effects of suicide can be far reaching and long lasting. Many people − friends, family and colleagues feel the impact. That's why professionals, community groups, volunteers and individuals are working together to reduce the risks of suicide. 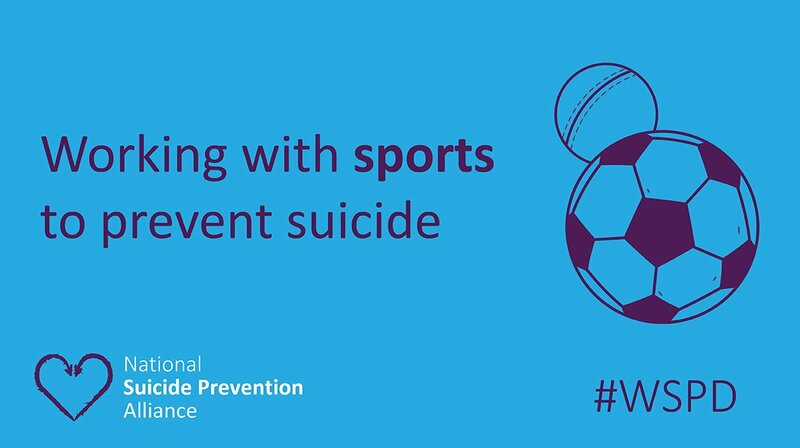 As part of the suicide prevention work in Derbyshire there will be events held at two professional matches - Derby County FC and Chesterfield FC. This year awareness raising events will also be held at three non-league matches - Alfreton Town, Belper Town and Sheffield FC. Representatives from the Samaritans, Rethink, Derbyshire Healthcare NHS Foundation Trust, Derbyshire Mental Health Forum and other mental health organisations will be raising awareness about suicide prevention. There will be activities to engage fans as well as information and support to those who may need it. “We know that the reasons why someone may choose to take their own life can be extremely complex and people may be afraid to raise the subject for fear of not knowing what to say or do to help. “But we can all make a difference to someone who may be suffering emotional distress. There are several things that we can do if someone confides that they are feeling suicidal. “It’s really positive that Derbyshire County Council, Derbyshire Healthcare and other local organisations are once again joining forces for World Suicide Prevention Day. “The theme this year is working together to prevent suicide and that couldn’t be more appropriate for Derbyshire this year, when hundreds of volunteers will be reaching out to football fans at five different matches across the county. “One of our key messages will be that we must all work together to prevent suicide: that we have to look out for one another and support our friends, relatives, co-workers and neighbours. “If one of us notices a change in the behaviour of someone we know well – perhaps they’ve become withdrawn or anxious, or they’re saying that they can’t see a way out of their problems – we can make a difference by encouraging them to seek help and showing them that they matter to us. The Club are delighted to be raising awareness for World Suicide Prevention Day and we look forward to seeing you at our home fixture against Guiseley.